Dubai, UAE, November 15, 2018: UAE Minister of Tolerance and Chairman of the Higher Committee of the International Institute for Tolerance, His Excellency Sheikh Nahayan Mabarak Al Nahyan, has announced two major initiatives as a commitment to the promotion of tolerance. The announcement was made during the opening day of World Tolerance Summit which is being held in Dubai. 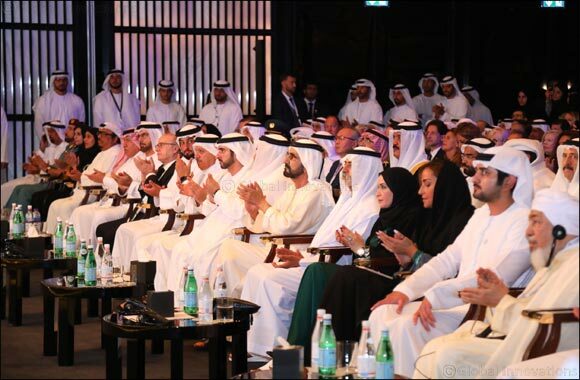 In his speech, HE Sheikh Nahayan Mabarak Al Nahyan said that the Ministry of Tolerance is committed to focus on prospering from pluralism and embracing diversity through innovation and collaboration. He said further that the initiatives will be in cooperation with the International Institute for Tolerance (IIT). “The first initiative is the launch of the National Research Project on Tolerance. This is a continuing project for the coming years and will promote creativity and innovation of researchers, inside the UAE and throughout the world, in examining factors, conditions and work plans that help strengthening tolerance among individuals, families, local communities and the entire world. This project will produce proposals and plans for spreading tolerance, coexistence, and happiness in human societies. The minister further stated that through these initiatives, the global work dimension of the Ministry of Tolerance and IIT will be affirmed. Eventually through these initiatives, the vision of HH Sheikh Mohammed bin Rashid Al Maktoum and all the national leaders, which is to succeed in pluralism will be achieved. Part of these initiatives will focus on extensive research and positive dialogue to ensure the creation of a peaceful future for all. Other highlights of the morning session during the first day of the summit were the Tolerance Leaders Debate on how the message of tolerance can spread and how leaders from around the world can promote peace and happiness within the society. The session was participated in by H.E. Dr. Amal Abdullah Al Qubaisi, president of the Federal National Council (UAE), H.E. Dr. Abdullatif bin Rashid Al Zayani, Secretary General, Gulf Cooperation Council for the Arab States of the Gulf (Saudi Arabia), Her Royal Highness Princess Lamia bint Majed Saud AlSAud, Secretary General and member of the Board of Trustees, Alwaleed Philanthropies (Saudi Arabia), Ambassador Dr. Ahmed lhab Gamaleidin, Assistant Minister of Foreign Affairs for Human Rights and International Humanitarian and Social Affairs (Egypt). A session on the role of governments in encouraging tolerance through peaceful coexistence and diversity followed with H.E. Amre Moussa, former Secretary General, Arab League and the former Minister of Foreign Affairs (Egypt), H.H. Dr. Khalid bin Khalifa Al Khalifa, Chairman of the Board of Trustees, King Hamad Global Centre for Peaceful Coexistence (Bahrain), Prof. Salvatore Martinez, President of the Vatican Foundation International Center for the Family, H.E. Ohood bint Khalfan Al Roumi, Minister of the State for Happiness and Wellbeing, and Director General of the Prime Minister's Office (UAE), H.E. Faisal bin Abdulrahman bin Muaammar, Secretary General, King Abdullah bin Abdulaziz International Centre for Interreligious and Intercultural Dialogue (Austria).